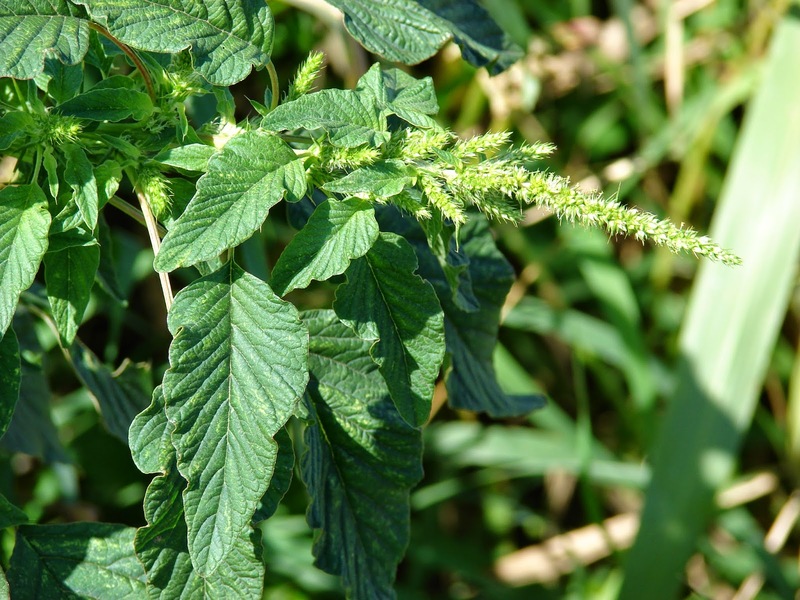 Spinach Amaranthus thorns is derived from the tribe. Community knew him by various names. In Lampung, spinach spines known as spinach Kerui. Those that knew her spare prick (Sunda), eri spinach, spinach king, wheel spinach, spinach cikron (Java), Ternyak spines, ternyak lakek (Madura). Spinach spines, In comparison to the usual vegetable spinach, although it feels the same, this plant is rarely touched. In fact, many are not aware of, in addition to delicious, full efficacy of this plant, cure dysentery, boils, until the whiteness. As written in the book Atlas of Indonesian Medicinal Plants Volume 1, by Dr. Setiawan Dalimartha, Poster Agriwidya, Jakarta, in 1999, is that by utilizing its roots, many properties that can be taken. For example, for the treatment of ulcers that hard, piles (hemorrhoids), eczema, swollen gums bleed, launched expenditure ASI (laktagoga), fever, warts, wounds bakr and rattlesnake bite. The whole plant is boiled, while warm water is used to soak the feet are stiff, and rheumatism. Chemical properties: Rich amarantin chemical constituents among others, routinely, potassium nitrate, pyridoxine, phosphate salts, iron, Vitamin A, C and K.
Pharmacological Effects: This herb has properties entering the heart and kidney meridian. Eliminate hot (anti-pyretic), laxative urine (diuretic), eliminating toxins (anti-toxin) eliminate swelling, stop diarrhea and cleanse the blood. These plants also are: Flavor sweet, bitter and cool. Plant part used: Whole plant fresh and dry is aerated. Method of cultivation: By way of cuttings or seeds. 2. Whitish: 30-60 grams of fresh roots, washed and added a little sugar cubes, boiled with water to 1 3 gls gls, filtered and drunk. 3. Gland tuberculosis: 30-60 grams of fresh roots or whole plants, washed clean boiled water mixed with wine to taste, drink. 4. Sore throat: 45 gr fresh roots washed, boiled and drunk. 5. Boils: Fresh leaves sufficiently washed and finely, mix honey to taste and boil cover wrapped. Replaced 2x a day. 6. Hemorrhoids: Handful of fresh leaves are washed, boiled and used steaming and washing wasirnya. 7. Eczema (dermatitis): All the simmering herbs to taste, add a little salt and water used to wash the affected part. 9. Discard the urine is not smooth: One-piece with roots washed cob, boiled with water until 2 gls into 1 gls, drink once. 10. Gums bleeding wounds: Plants taste burned (with base tile) and used as a powder, used as topical ointment gets sick. 11. Adding milk production: One rod shadows washed, finely ground and used as a poultice around the breast.